This retro floral print is part of BlackBird's latest summer collection - printed on fine cotton fabric and tailored with a modern 2.75 inch width. 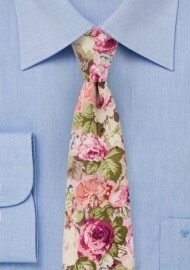 A great spring and summer tie for suits in stone, navy, light gray, and tan. While a nice tie for your suit, we like it even more when worn with just a light gray chambray shirt and leather suspenders. 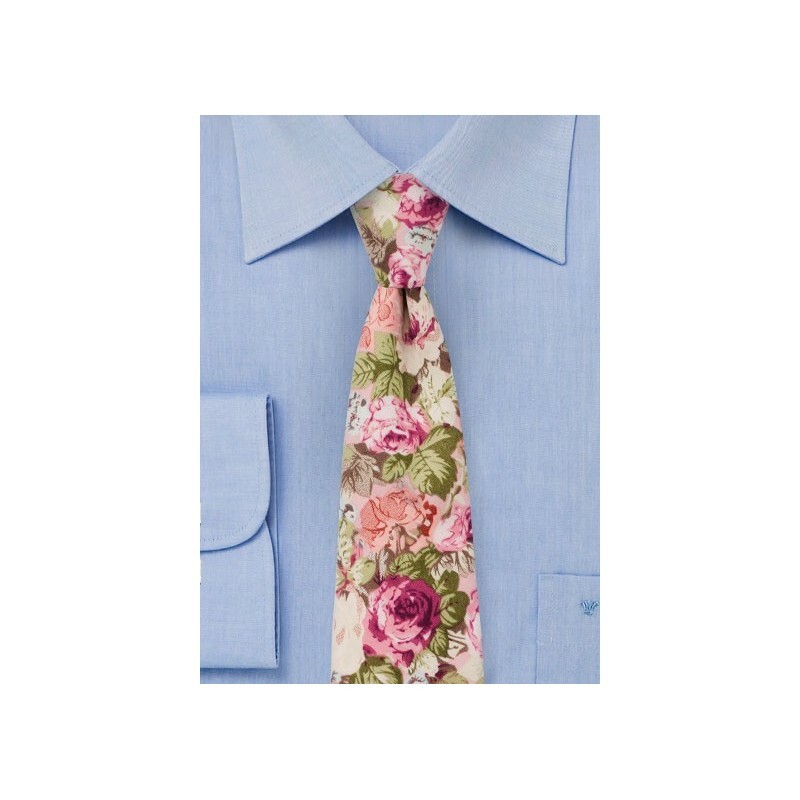 Handmade from printed cotton by BlackBird designer neckwear.